Editor's note: Yahoo! Sports will examine the offseason of every MLB team before spring training begins in mid-February. Our series continues with the Chicago White Sox. On opening day last season, the White Sox carried a payroll of $96.9 million. Today they stand more than $20 million higher, and all they have to show for it is a 32-year-old who has gotten full-time at-bats once in his career, will man a position he has spent less than a quarter of his career playing and got a three-year contract nonetheless. Oh, and a reliever who throws hard. Other than that, the White Sox's offseason has been dandy, thanks very much. This is what Backloaded Contract Hell looks like, and with Jerry Reinsdorf pulling the budget reins like he's Santa and Rudolph is getting a little frisky, the White Sox are staring at a potential transition year. Already gone are one stalwart (catcher A.J. Pierzynski, to the Rangers) and three midseason acquisitions, Kevin Youkilis (New York), Brett Myers (Cleveland) and Francisco Liriano (Pittsburgh, ostensibly). Now comes the part where the White Sox have to win with even lesser personnel than the group that blew a playoff spot in 2012. 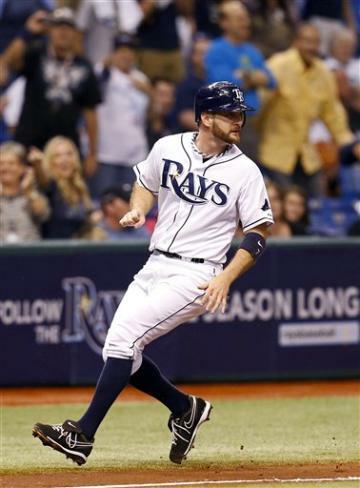 The not-really-a-third-baseman who had 418 plate appearances last season and is guaranteed $12 million over the next three years is Jeff Keppinger, whom Joe Maddon used in Tampa Bay last season to platoon perfection (.376/.402/.521 against lefties) but is neither good enough against right-handers nor in the field to merit a multiyear deal with a starting job. The third-base market thinned quickly, and with the Yankees chirping about a two-year deal, Keppinger played free agency to perfection. Because the money isn't enormous, new general manager Rick Hahn – elevated to the position when Kenny Williams ascended to team president – won't necessarily regret if Keppinger spits the bit. Nor will he care if the signing of Matt Lindstrom, erratic fireballer, turns conflagrant for its one season. The last time the White Sox devoted significant money – well, it has a chance to be one of the worst contracts out there. And they've got some other whoppers that, in hindsight, probably were ill-advised. Which is what made the White Sox winning at the clip they did last season so shocking. And which makes any expectations on this season so misguided. So, where to start? Should it be with the guys who don't get on base, which is pretty much the whole team, or just the guys who play every day? Or should it be with the pitchers whose ERAs didn't exactly match their peripherals and thus are looking at serious regressions this year? Actually, perhaps it's best to save those gems for later and go with the pitcher responsible for the majority of the payroll hike this year, that aforementioned significant money. 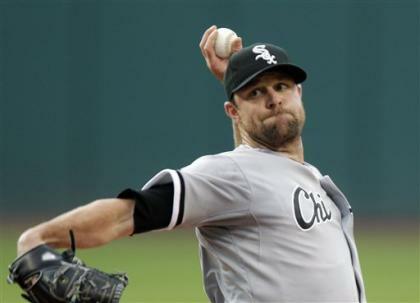 For the first season of his five-year, $65 million deal, left-hander John Danks earned $2 million. This year, and for the next four, that annual figure jumps to $15.75 million. For that, the White Sox get a pitcher coming off shoulder surgery that limited him to about 50 innings last year and is expected to keep him out a portion of this year. Just 28, Danks has time to recover. It's just going to cost a lot, and even with advances in surgical technique, the return from shoulder work remains a crapshoot. Chris Sale and Jake Peavy were excellent atop last year's rotation, though because of Sale's perceived fragility and Peavy's injury history, health always will be a question with them. Beyond them, there is the underachieving Gavin Floyd and a pair of effective rookies from last season, Jose Quintana and Hector Santiago, the former of whom doesn't strike out nearly enough hitters and the latter of whom walks far too many to repeat their performances. And then there is the White Sox's lineup. If Alex Rios shows up again – it's really a year-by-year proposition at this point – and Adam Dunn tries to balance out his 200 strikeouts with 40 home runs, that helps. And if the White Sox's up-the-middle infield trio of catcher Tyler Flowers, shortstop Alexei Ramirez and second baseman Gordon Beckham can at least try to get their on-base percentages above .300 … well, they might get a round of applause from the bench. Because all eight White Sox bench players with at least 50 plate appearances last season couldn't muster a .300 OBP. The 2012 season for the White Sox was as much about overachieving as it was succeeding. It did nothing to solve their failure at developing position prospects of any consequence (their only homegrown players are Ramirez and Dayan Viciedo, two Cuban refugees, and Beckham, a bust) and only served to put Chicago in that desperate no-man's land of mediocrity, where it's good enough to keep alive flickers of competitiveness but ultimately not a playoff team. If you're not going to be good, it pays to be really bad. In between shouldn't cost almost $120 million. The Paul Konerko of 2008 – the one who looked like he didn't have a good at-bat left in him – resurfaced in the second half of last season. Before the All-Star break: .329/.404/.528. After: .263/.333/.437. Respectable, of course. Just not Paulie. Even at 37 this spring, Konerko is the White Sox's sine qua non. If they want a chance at parlaying Robin Ventura's second year into an even greater success than the first, it starts with first-half Konerko. If second-half Konerko shows up, the White Sox could be in even more trouble than we imagine. No longer play with A.J.